Have a look at the little blue dot in the lower right-hand corner of the graph above, just above the year 2010. This is below any such reading since at least 1950. Michelle L’Heureux, a meteorologist at the National Oceanic and Atmospheric Administration’s Climate Prediction Center, told me there’s simply no explanation for what drives such extremes in the Arctic Oscillation, which she described as both a potent driver of northern latitude conditions and one of the least predictable, and understood, patterns in the atmosphere. While federal forecasters have said that the warming influence of a persistent El Niño warming of the tropical Pacific Ocean is likely to be a bigger driver of conditions through the full course of this winter, Joe Romm pointed out that When it’s freezing where you sit, it’s hard to keep in mind that it may be extraordinarily warm elsewhere. How is it possible for scientists to have "simply no explanation for what drives such extremes in the Arctic Oscillation", but at the same time have certainty that "the steep drop at the moment is likely to be transitory rather than a sign of a new trend in the Northern Hemisphere pressure cycle." In other words: "We don't know how to explain this, so we're going to ignore it and stand behind our AGW models." I would expect true scientists to say, "Wow, this is something we haven't accounted for in our models. I wonder how many other variables we've missed, and how big of an effect they have on seasonal cooling and warming." I wonder what other comments people have. Wonder how do you know that the model do not reproduce such extreme jumps? It's rather the contrary. The intriguing thing is the longterm trend (not understood and very losely associated to GW) not some month-to-month jumps which might or might not be part of the simulated variability. First comment (I hope), pride of place.. It's part of the larger problem of "is climate chaotic". Realclimate and New Scientist are two who have been adamant that climate is in no way chaotic. And I'm amazed at their certainty. I just read "Elementary Climate Physics" by Prof FW Taylor and he has a simple 2-box model of the thermohaline system and an easy to understand instability. The climate system is full of positive feedbacks - ice albedo, CO2 from the oceans, water vapor. The thermohaline system has the potential due to increased freshwater to reverse, turn off heat from the equator and therefore refreeze the arctic - possibly the mechanism for the end of previous inter-glacials? Any system which is full of non-linear dynamics and positive feedbacks is surely a candidate for chaotic behavior. And given that the negative feedbacks like clouds/aerosols are big unknowns, how can anyone be certain of the behavior of the climate? But I'm sure the realclimate people have 100x more knowledge than me. But still, as a skeptic I need proof, or convincing arguments. In fact, the conclusion I have reached is that they just don't want to talk about it. "Nothing to see here." Because otherwise you open the door to "denial". I hope you might look at the subject openly on your blog. Realclimate point of view - weather is not climate, climate is the average of weather, therefore climate is not chaotic; our models accurately predict the past 100 years so climate is not chaotic. Unfortunately a dummy like me with only an engineering degree can see that they haven't demonstrated anything. There's so much that remains not yet understood. That's why attempts at modeling climate are only in their early infancy, and cannot be relied on at all. Some scientists do not want to hear that about their models. Let me illustrate this debate with the following example. Let assume I live somewhere on the Northern Hemisphere of a hypothetical planet, which is similar to the Earth but where the time to complete one orbit around the sun is not 365 days but 100 times longer. Today is January 11th. I am certainly not able to forecast with enough accuracy whether the temperature today will be lower or higher than 10 days later. But I am certainly able to predict that the temperature in July 10th , that means 50 years later, will be warmer than today. As I have never experienced a summer before on this planet on this location, I am not sure by how much the temperature will be warmer, but any reasonable physical model will tell me that it will indeed be warmer: daylight will persist for, say 16 hours, instead of 8, the sun will be seen much higher over the horizon, etc. Other factors will be more uncertain. For instance, how will cloud cover be, how humid will the air be? These latter factors will preclude to issue an exact forecast for July 10th. Now imagine I am grappling with the data in January on this hypothetical planet to identify any trend that could help me decide if my location on this planet will warm and by how much it will warm 50 years later. I would be probably fooled many times. Perhaps in the first week of January the trend was positive, in the second week zero, then negative, etc. So there is no contradiction in principle in not being able to predict the weather one week ahead or even the climate 5 years ahead, and still being able to predict, albeit with uncertainty, the effect of an external factor 100 years ahead. Did the writer of the top-rated comment bother to follow the link to John Wallace? If so he would have found the AO's co-discoverer, David Thompson, saying in a press release of 2001, "If this trend of the last 30 years is human induced and if it continues, snow in Seattle or Dallas or Tokyo, will become an even rarer event than it is now. But if that trend reverses, all bets are off." He was talking about a trend of decreasing cold snaps associated with increasing frequency of positive phase AO. Autumn extended way into what should have been winter last year, in line with our recent mild winters ,here in London. The current snap needs no model to account for it; all bets are still on. You analogy cannot be applied to our real earth. In your example we know that on July 11 (50 years later) the primary forcing factors will be completely different and favourable to warming. The sun will shine for 16 hours and not 8. The radiation of the sun's rays will strike the earth almost perpendicularly, and not obliquely. So it is possible and easy to predict that it will be warmer. On the real earth, however, the conditions will probably be about the same in 2050. Only a minor greenhouse gas will be more elevated. The extra CO2 will have almost no impact, as its greenhouse trapping ability will be already practically exhausted. On the real earth in 2050, the oceanic cycles will be at a different phase, something that our curent models have not accounted for very well. In 2050 nobody can say what the sun, the climate's primary driver, will be like. 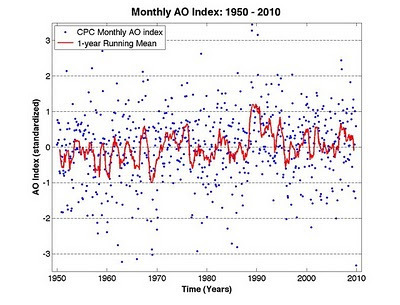 Will we have great solar activity or will the sun enter another Maunder Minimum? The models ignore, or completely underestimate the sun's effect. Nobody can say what the sun will do. We just don't have enough information about it. Nobody knows what the clouds will be like in 2050 on our real earth. Nobody knows what role volcanos will play. One major eruption and the all models are rendered useless. Nobody knows how urban areas will develop - it depends on politics and no one can predict that. There are simply too many factors that cannot be predicted. Not one scientist will place bets on his 50-year "forecast". Today's models can be used for generating scenarios. They are nothing more than warped crystal balls used for fortune-telling for high-paying political clients. Weather in my view is much easier to predict 3 months down the road than climate 50 years from now. Good weather forecasters have shown quite good results recently. Climatologists have not. It seems that you don't understand chaos theory. I'm not talking about weather at all. If for example, enough freshwater melt from Greenland reverses the thermohaline circulation and therefore stops the transport of heat from the equator to Northern Europe. In that case, N Europe will start to cool down. As it does so more ice will be formed in the arctic, therefore reflecting more sunlight and increasing the earth's albedo with every year. This will reduce the earth's temperatures and also reduce water vapor in the atmosphere. Both albedo and water vapor are positive feedbacks. Positive feedback in a system causes instability, sometimes major. It could affect the whole planet. Chaotic systems have vastly different outcomes from v. minor differences in their starting conditions. They are counter-intuitive which may be why your thought experiment seems so convincing to you. But it is not a demonstration that the earth's climate is not a chaotic system. Eduardo is explaining a concept. Of course if the gas is "minor" then the effect will be minor. Similarly with radiation. He's NOT trying to argue that the models are right but to explain a concept! I hope this blog does not become tedious with those who can not get past concepts to debates. Who are always arguin for a side and thinking someone else is...rather then explring things in terms of "what would it take to be right or wrong". It's just an enjoyment buzzkill to deal with that. Makes me think papers are more worthwhile that blogging...at least that filters out the dunderheads...they lack the discipline to write clearly...look at mcI's miserable drafts or what Willis thinks is a paper! buncha amateurs sitting in the bathtub playing Cold Fusion. I did a quick regression merging CRU northern hemispere temperature anomaly and NAO index (01/1950 ... 09/2009). So given that NAO index were a truly independent variable responsible for NH warming, that would possibly explain up to 5% of the northern hemisphere warming observed. I get your drift. Thanks for the advice. P Gosselin: Shake your manly hand.